…there’s no need to struggle anymore. 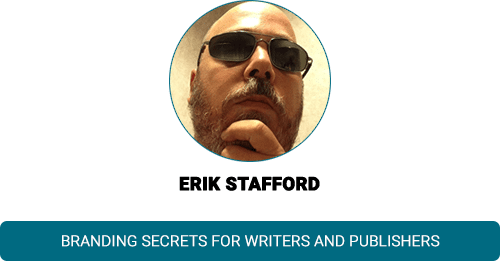 I’ve gathered the recorded interviews and training sessions of 14 of the top publishing and marketing experts to show you how to get more traffic, more subscribers and more sale even if you feel like you’ve failed a thousand times before. 45-60 minute recorded information sessions with each speaker. From choosing your niche and creating a membership to marketing your products effectively and getting free media publicity, we’ve got you covered. Full enhanced transcripts of each session. Whether you prefer to read or want a reference that you can refer to as you take action on what you learn, you’ll receive access to our enhanced transcripts that include screenshots and emphasis to display critical points. Summary notes of each presentation to help you take action. Get the information you need quickly. Watch or read the presentations in full and absorb it all. Then review the notes to ensure you have the main points and view them quickly. Have you ever met people who are so skilled at gaining the spotlight for themselves and wondered how they did it? They make it look so easy, but it’s not easy to see the strategy behind it…until now. E. Brian Rose is an expert in the art of self promotion. He is the founder of JVZoo.com, one of the world’s largest affiliate networks, and teaches thousands of students how to grow an online following. Rose has authored two books, Millionaire Within and Expert Fame, both being released this year by Morgan-James Publishing. An easy process for ensuring your get your book done. 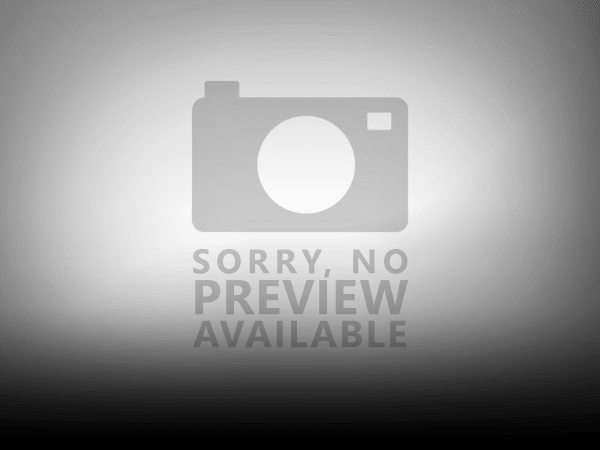 Getting reviews and testimonials from authorities in your niche. Understanding the what the real return on investment is when you’re growing your audience and establishing your authority. How to get people to see you as the authority you want to be seen as. And the best thing is, you can use all these strategies on a very limited budget. If you’ve been making some money online, you’ve probably experienced the ups and downs that come each month. Well, what if I told you there was a way for you to generate a reliable monthly income and I had the insider strategies to share with you? Ryan Lee is widely considered one of most influential “lifestyle entrepreneurs” on the Internet. 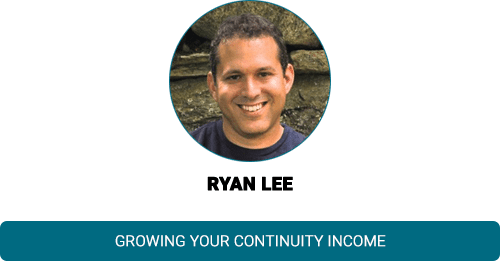 He started his first membership site in 1999 in the fitness industry and since then, Ryan and his clients have generated over $500 million in sales. He is a contributor to Entrepreneur, has been featured on the front page of The Wall Street Journal, has written 2 books and is the founder of Freedym University, the world’s largest lifestyle entrepreneurship training resource for fitness professionals. Why big business and solopreneurs are embracing the continuity model. Where to put your focus, so you’ll bring in the most members and keep the ones you currently have. How to avoid some of the biggest mistakes in choosing a niche for your membership site. The 4 key steps to starting a membership site, so you can do it cost-effectively and get your profit system in place the first time. Bonus: Receive even more strategies and real-life case studies and stories to grow your membership site. In today’s world, harnessing the power that simple technology provides us is key to growing your audience…and even propelling your book to best selling status. When you know exactly how to do this, nothing can stand in your way. Joel Comm is NY Times bestselling author, professional keynote speaker, futurist and social influencer. An expert on harnessing the power of the web, publishing, social media and mobile applications to expand reach and engage in active relationship marketing, Joel is a sought-after public speaker who leaves his audience inspired, entertained, and armed with strategic tools to create highly effective new media campaigns. 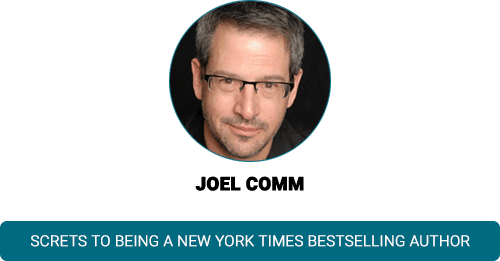 Joel talks about planning a book launch and how to achieve the ultimate credential for writers – the NY Times Best Sellers status. Joel has some very unique ideas for building your audience and you do not want to miss these. How to make the key decision between getting a publisher and self-publishing your own book. 8 important questions to ask yourself before you start writing your book. Leveraging social media to brand yourself and gain exposure. How to turn buyers into clients and get lucrative speaking engagements from your books. Bonus: Download 3 of Joel’s books for free. There’s nothing quite so disheartening as working yourself to the bone to create your latest product and have it launch to dismal sales. We’ve all been there, but there’s a way to fix this and that’s exactly what you’re going to learn in this interview today. Michel is the CEO of Workaholics4Hire.com, an outsourcing and customer support services company. 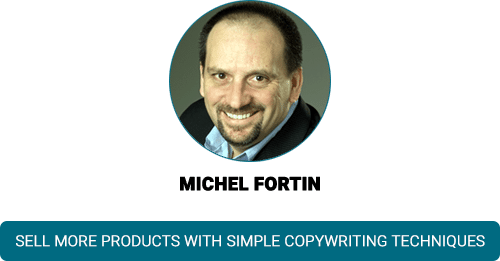 Michel is a direct response copywriter and marketing consultant for close to 30 years (online since 1992). He is the author of several books, one of which distributed over 300,000 copies. He was instrumental in selling over a hundred million dollars worth of products and services for a wide variety of clients, stretching hundreds of different and unrelated industries. Dubbed as the “Roger Bannister of Online Copy,” his most notable success is a sales letter that sold over a million dollars online on its first day — a first of its kind, and a feat repeated many times since then by him and many others. The number one copywriting mistake people make that kills sales. Ensuring that your audience is fully educated about your product and the problem you’re helping them solve, so they’re ready to buy. Three critical tips for a headline that grabs and keeps your visitor’s attention. Simple tweaks to make to your copy for better results. And the best part is, anyone can implement this advice. One of the important keys to a long-lasting online business is having a fanbase of loyal buyers who will buy from you over and over again. It’s costly to try to find new buyers each time you release a product, but imagine if you had a built in audience ready and waiting, credit card in hand? The Rev. Dr. Sir Colin D. Theriot is not just a retired copywriter and premier collector of phony titles which he bought online. He is also a sought after professional liar and public speaker. 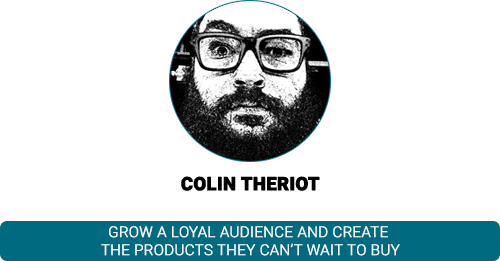 Most famously however, Colin is also the founder and current leader of the Cult of Copy – a secretive organization of over 15,000 professional (and hobbyist) persuasion agents placed in all 50 U.S. States and her territories, as well as over 100 other entirely non-strategic countries and commonwealths around the world. Rumor has it that using a homemade rocket, they have recently taken control of an abandoned WW2 era Nazi moon base, from which they broadcast the secrets of persuasion, influence, mind-control, and marketing so that the people of earth might one day be free from their invisible puppet masters. How to do that math and see that you don’t need a huge audience to be making really good money online. Why you don’t have to be an expert in your niche to command authority. 4 questions to answer in order to build your loyal following. How to get paid to create your products…instead of creating them and hoping to get paid. Colin always has eye-opening strategies to share and this is no exception. 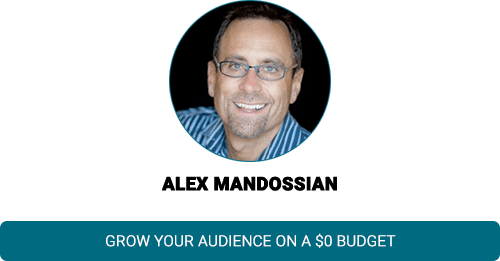 If you’re looking to grow your audience without having to shell out a bunch of money on advertising or create a huge marketing budget, you are in the right place. Since 1993, Alex Mandossian has generated nearly $400 million in sales and profits for his strategic alliance partners, clients and students on five continents. His expertise is in electronic broadcast media such as teleseminars, webinars, podcasts and most recently, Google hangouts. He has shared the stage with diverse thoughts leaders such as Richard Branson, Harvey Mackay, Donald Trump, Tony Robbins, Robert Kiyosaki, Suze Ormand, Mikhail Gorbachev, and the Dalai Lama. Alex is widely known as an Internet marketing pioneer and his blog is currently read weekly by over 155,000 subscribers. How to get your message out to a wider audience with content you’ve already created. 4 benefits to repurposing your content and why it would be crazy not to do it. The biggest mistake people make when promoting their book and why it stifles your future sales. BONUS: You’ll also free digital copy of Alex’s book. There’s a lot of noise out there on the Internet and it’s not always easy to stand apart from the competition, but when you’re armed with solid branding strategies, you can leave that competition way behind you. Erik has an extensive advertising and design background and has won numerous awards, including several AAF-ADDY Awards, some ARDA Awards, and some other ones with equally important sounding names. He has worked with a wide range of companies around the globe as part of my job as Creative Director at ISOOSI. On the side, he has released several digital training products and consulted on several high-profile internet product launches, providing my creative expertise to increase responsiveness and conversions. His work has been responsible for millions in sales. Erik provides strategies for branding yourself and doing it all on your own terms. The biggest mistake people make in branding and how you can avoid it. How to build a tribe of people who can’t wait to see what you’ve got coming next. Choosing the right platform to establish your brand. Communicating with your audience, so they feel like a unique part of your circle and encouraging loyalty. Kindle books aren’t just for text anymore, but most people know that. Imagine the marketing possibilities of adding video and audio to your books. Daniel Hall is a bestselling author, speaker, publisher, nurse, attorney and sometimes blogger. He is also the creator of the highly popular “Real Fast” brand of training products. He left law practice 10 years ago to build his publishing business and has never looked back. 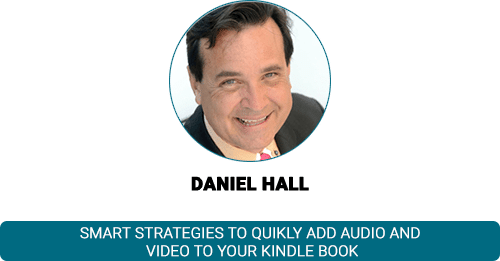 Daniel gives us the exact steps to add multimedia to our Kindle books. Not many people are doing this, but it’s an opportunity to share high value content with your readers and really enhance the customer experience. The many business-building benefits to adding audio and video. Knowing exactly when to use this interactive technique and how to implement it, step by step. How to use this technique in a cost-effective manner. Ideas for repurposing your audios and videos to get even more results. One of the easiest ways to get exposure for your business is simply to pay for it. You can buy ads in a variety of media, but people will always view ads with skepticism. Imagine if you could get the media to sing your praises…absolutely for free. When the media talks about you that’s more powerful than any advertising you can buy. 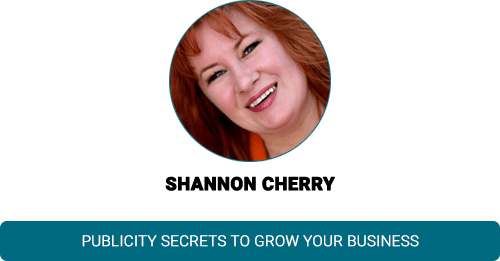 Shannon Cherry has helped businesses increase their traffic, fill seats in programs and get more profits. An award-winning publicist and published author of four books – three of which are Amazon bestsellers, Shannon was named BusinessWeek’s top 60 business bloggers in the world & top 30 PR bloggers, as well as Fast Company’s top 101 women to watch in social media. 5 facts you need to know to that will put you ahead of other trying to get the media’s attention. Journalists are busy people, but there are strategies you can follow to get their attention and make their jobs easier. The best days to pitch a story and how to do it. How to follow up to ensure your best chances of success. The children’s book market is huge and the great thing about it is you can create simple books that propel #1 best-selling status. Author, publisher, consultant, and online marketing expert, Jay Boyer has worked with some of the biggest names in the internet marketing industry, including Mike Koenigs, Chris Farrell, Willie Crawford, Jason Fladlien, and John S. Rhodes. Jay has shown hundreds of people how to write, publish, and profit from their books with the largest online retailer in the world – Amazon.com. Mr. Boyer has has multiple #1 Bestsellers in both paperback and ebook format, and has helped hundreds of authors do the very same thing for their own self-published books. 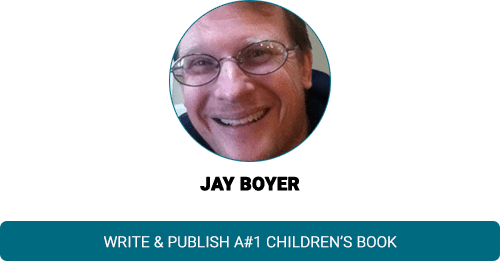 Jay shared his secret system for creating a best selling children’s book on Amazon in under 7 days. Jay’s proven formula will enable you to use the power of Amazon to generate long term passive income from ongoing book royalties. Why children’s books are the easiest to put together and sell tons of copies. 3 keys to make sure you’ve got a great selling book. 2 important steps to take after publishing to ensure ongoing sales. Ideas for your first or next children’s book and proven research strategies. BONUS: Download Jay’s personal presentation notes, so you can implement his advice even more quickly. Whether you’re promoting a book, product or service, it’s important to be ready to speak on what you have to offer in a concise way. That’s exactly what a signature speech is all about. Felicia J. Slattery, M.A., M.Ad.Ed., is on a mission to motivate, inspire and train experts, smart business owners, entrepreneurs, CEOs and celebrities to create meaningful connections through effective communication and public speaking. 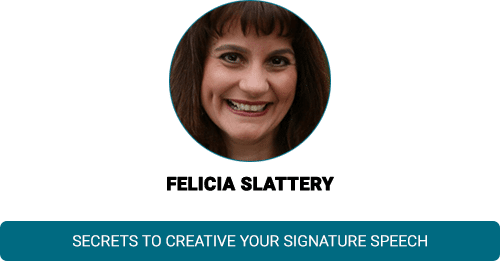 Multiple Amazon #1 best-selling author of “Kill the Elevator Speech,” and “21 Ways to Make Money Speaking,” Felicia Slattery is also the creator of the Signature Speech™ system and co-creator of Signature Speech & Webinar Wizard as well as an internationally-acclaimed, award-winning speaker. As a cancer survivor, Felicia’s enthusiastic passion for communication is contagious because she knows that one important message delivered with power can transform a life. How to overcome fears of public speaking with 3 proven strategies…and why one popular strategy you’ve probably heard could be a mistake. 4 benefits of preparing your speech, even before you write your book. Never use the same content once. Genius repurposing ideas for your signature speech. Bonus: You’ll receive access to Felicia’s free speaker training. The power of broadcasting used to be in the hands of a few, but now thanks to podcasting, it’s easier than ever to spread your message and grow your loyal audience. 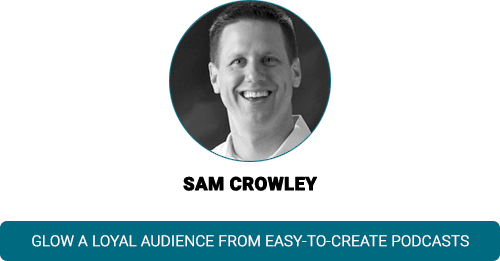 Sam Crowley is a former Fortune 100 executive who left his corporate job to spend more time with his family and launch the personal development brand Every Day Is Saturday. Ex-stutterer, turned entrepreneur, taught us about the easy way to start your own podcast show and leverage the massive popularity of iTunes to sell books and products like crazy. Why running a podcast is tremendous opportunity for writers and publishers to grow their audiences. Surefire monetization ideas for your podcast. How coaches and consultants already have plenty of material for their winning podcast. Simple content creation ideas and how to get others to do most of the work for you. Bonus: 4 training videos to show you why, how and when to podcast. It doesn’t matter if you’re an expert, you have something to offer your audience. The Internet today provides a tremendous opportunity for you to find your own gifts and create a highly profitable business, all through the power of content. 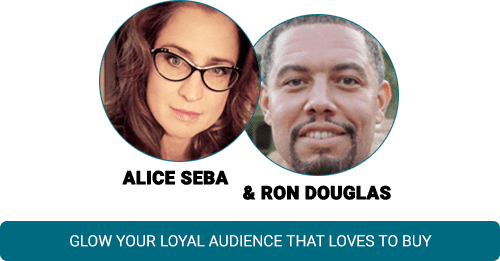 With the power of just their writing skills, Alice Seba and Ron Douglas have been able to unravel the mystery of earning a living online and have helped thousands of others do the same over the past 14+ years. Alice is a noted content marketing expert who has sold millions of dollars in content and has a list of over 20,000 clients and customers who seek her products and services over and over again. Specializing in the power of persuasive writing and relationship marketing, Alice is known for helping her customers create loyalty and positive word of mouth for their businesses. Ron is a New York Times Best Selling Author who has sold over 1.5 million books and ebooks. Using his list building expertise to build an audience of over 300,000 subscribers in a variety of niches, Ron secured appearances on Good Morning America, Fox and Friends, NBC News, Home Shopping Network as well as a multiple book deal with New York City publishing powerhouse Simon & Schuster. Bring them together and you’ve got a wealth of knowledge, experience and connections available to you. How to find a profitable niche, even if you don’t consider yourself to be an expert. Strategies for quickly and easily creating products for sale. Surefire ways to generate buzz and grow interest in your content and products. Breaking through what’s holding you back and becoming an online rock star. Right now you have the unique opportunity to jumpstart your success this year by learning from 14 of the top internet marketers and best selling authors online. From the comfort of your own home and at your own learning pace, your All Access Pass will arm you with knowledge that 99.9% of the population does not have and give you a huge advantage over the competition. How to find your niche online, come up with a winning product idea, and build a loyal tribe of long term buyers. How to break out of your indecisive slump, put all the pieces together, and finally take the profitable action steps that lets income flow freely to you day after day. What it really takes to create dependable monthly income with your own profitable membership site. Strategies you can use to achieve the ultimate credential for writers – the NY Times Best Sellers status. The proven blueprint for attaining expert status in your market using clever marketing tactics which don’t require an advertising budget. 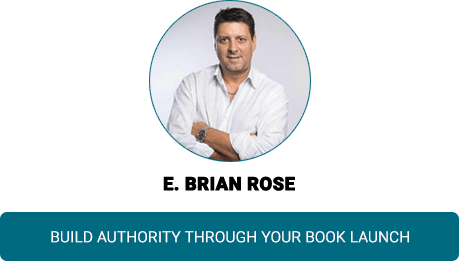 How to easily craft and practice your signature speech that enables you to build your author’s platform and sell books and products like. The time-tested secrets best-selling authors and online product sellers utilize to get more exposure and audience reach without spending a single penny more on advertising or publicity costs. Specific persuasive writing techniques that will have your loyal fans gladly marketing your content for you. An ingenious way to enhance your Amazon Kindle books and sell a ton more copies of each ebook you publish by making them interactive. How to use little known publicity tactics to increase your traffic organically, become the recognized expert for your subject area, and make more sales. The easy way to start your own podcast show and leverage the massive popularity of iTunes to sell books and products like crazy. A secret system for creating a best selling children’s book on Amazon in under 7 days that will enable you to use the power of Amazon to generate long term passive income from ongoing book royalties. How to develop a cult like following for your content and products that leads to long term sustainable profits. I’ve put together all these first tier teacher sessions and am bringing them directly to you. There are no hotel, flight or other expenses to take care of and all you need is a computer and Internet connection to get full access from the content of this life-changing event. 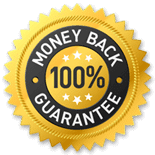 I’m sure you’ll agree, I could have charged hundreds of dollars for all this content, but I want this to be as accessible as possible for online marketers, others and info product sellers.